The Miniature series consist of the beauty and elegance of the Dale Tiffany Classic Collection we all come to love, bundled up in a small package, made to fit in any room. 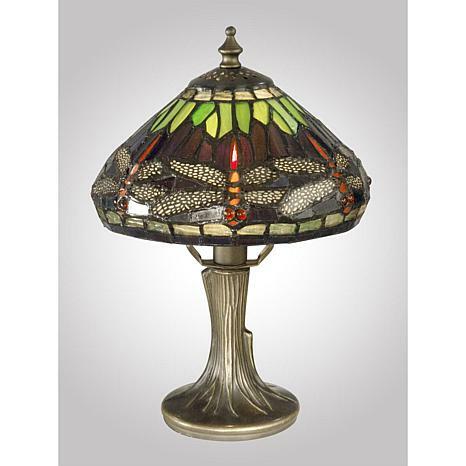 The colorful dragonfly art glass shade sits on top of a beautifully designed base with an antique brass finish. 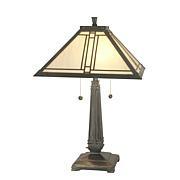 Dale Tiffany is well known in the industry for the craftsmanship in the quality of their shades. Using hand rolled Art glass and the copper foil technique, each glass piece and hand cut and soldered together. The quality of the glass and the uniformity of the soldered lines is what distinguish Dale Tiffany from all others. 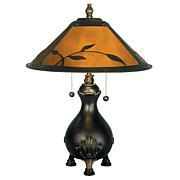 Dale Tiffany, Inc., is an industry leading designer and manufacturer of innovative lighting and home accents. In utilizing the same high quality standards, materials, craftsmanship and techniques throughout all of our Collections, Dale Tiffany has not only captured the timelessness of America's classic designers but also utilizes it's own creative skills to develop unique designs that blend perfectly with today's current home fashion trends and lifestyles. Whether it's a reproduction of yesterday's masterpieces or an emerging trend, Dale Tiffany is creating the next generations of heirlooms. The standard by which all others will be judged. I love the lamp! 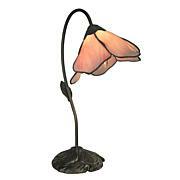 It is a small and elegant lamp, and perfect for my night table. This piece is beautifully executed and well-worth the price. I'm very satisfied with the two dragon fly lamps I purchased. 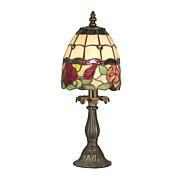 Low profile yet, ample and subtle light with diverse color from the tiffany glass shade. Not overbearing but sufficient. I use a 25 watt candelabra in them for my bedroom. Its perfect!